Seven exhibitors won Visionary Awards at the 2013 AWFS fair in Las Vegas for product innovation and leadership in the woodworking industry. A total of 66 products were entered by 49 companies and judged on creativity, quality and ingenuity. Bioformix Inc. won the Product Innovation category for its new wood glue, Nexabond 2500 Instant Wood Adhesive. The product was developed using a water-free chemistry that produces impressive performance capabilities, according to the company. 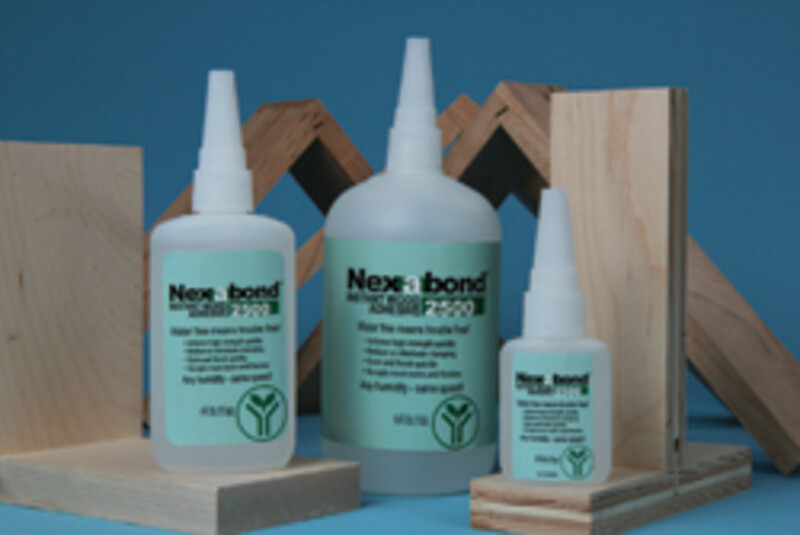 Unlike conventional wood glues, the Nexabond 2500 Instant Wood Adhesive can bond metal, ceramic, glass, foam and most other surfaces to wood with ease, while also accepting most stains and finishes. “Receiving this award from the AWFS is a great honor for Bioformix. We are proud to showcase the Nexabond 2500 Instant Wood Adhesive, as it is an exceptional product that plays an integral role in making woodworker’s jobs easier with its quick curing time and ability to produce a super durable bond,” Bioformix president and CEO Adam Malofsky said in a statement. Biesse America won the Product Innovation in Machinery over-$50,000 category for its AirForce hot air edgebanding technology, which allows panel processors to have a very easy-to-use, glue-free system to weld laser edges without the need of a complex and expensive laser system, according to the company. 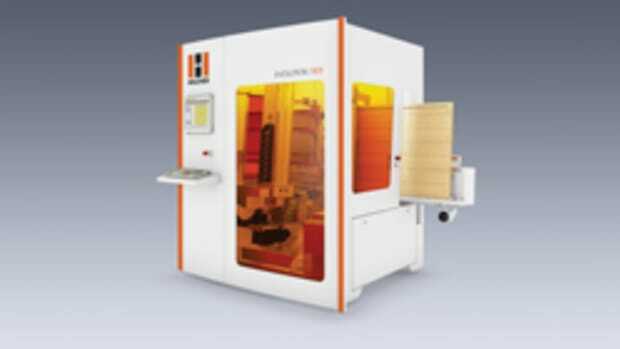 The technology involves sending hot compressed air through a slot nozzle onto the reactive layer of commonly available laser banding to bond the banding a substrate. It is applicable to almost any edgebanding model, the company says. “AWFS is certainly the most important industry event for North America this year and we are very pleased with our results. After four straight quarters of a steady growth in orders, the solidity of the North American market is no longer in doubt,” Federico Broccoli, president of Biesse America, said in a release. SNX Technologies won the Product Innovation in Machinery under $50,000 category for Vitap’s Eclipse semi-automatic contour edgebander. 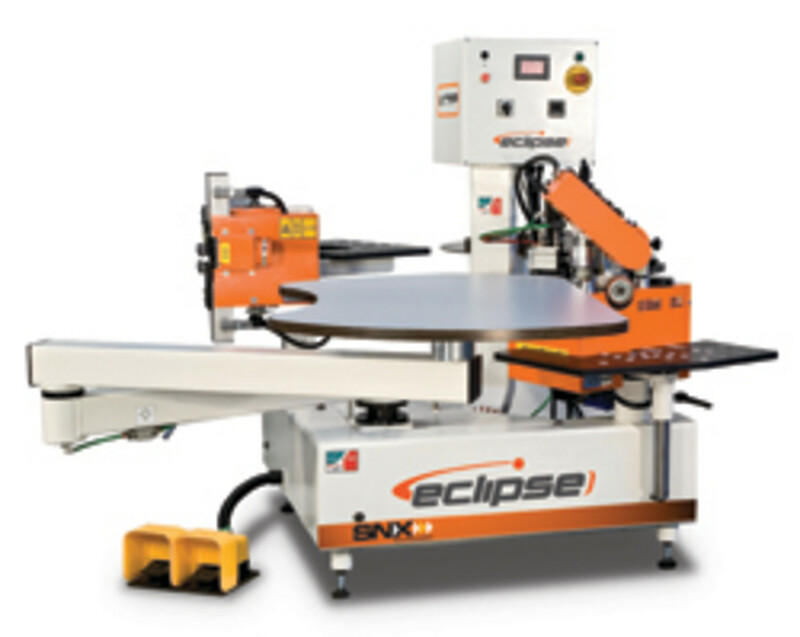 The Eclipse comes with a trimming unit and is able to process large or small pieces without extra setup, according to the distributor. It can work on straight or shaped (concave as well as convex) edges. 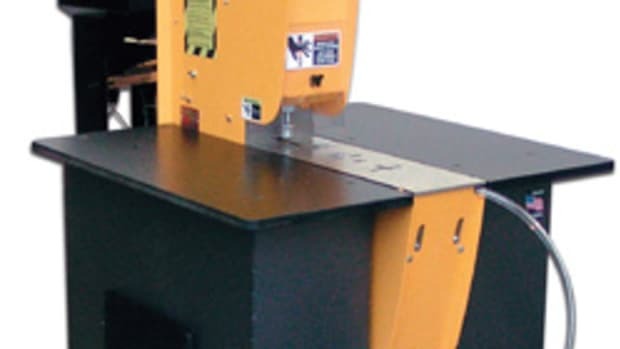 It’s equipped with a glue pot, laser measuring device, automatic feeder, two height adjustable tables for small panels and a rotating vacuum table supported by a holding arm for large panels. Edging and trimming a panel is a two-step process. The edging is applied at the glue station and the panel is then moved to the trimming unit. The machine’s footprint is approximately 82” x 63” x 63”. Mozaik Software won the Product Innovation in Software category for CNC Complete. The company’s co-founders, Larry Cornwell and Roger Taylor, produced Cabinet Vision software in the 1980s. 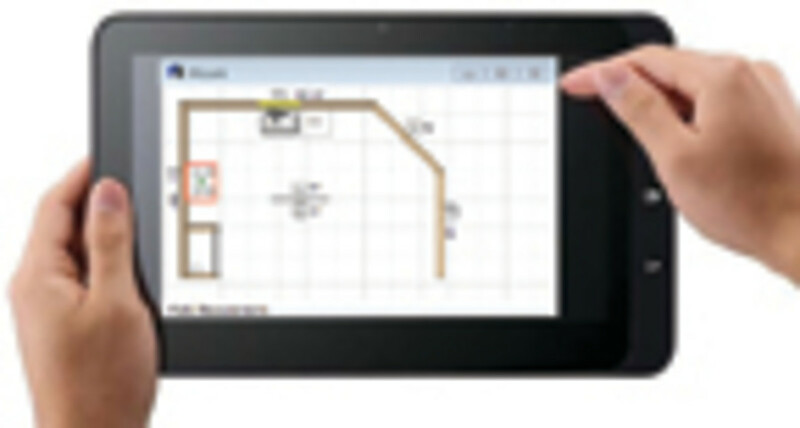 CNC Complete was recognized as a fully integrated software solution from design to manufacture to nesting to G-Code. “Mozaik is friendly software written and maintained entirely by Mozaik Software Inc. We have no third party developers and no software royalties to pay, therefore we don’t charge you any extra upfront costs. What you see is what you get, and it comes from Mozaik,” Taylor says. Senco won the Product Innovation and Productivity in Power Tools category for its Duraspin collated auto-feed screwdrivers. 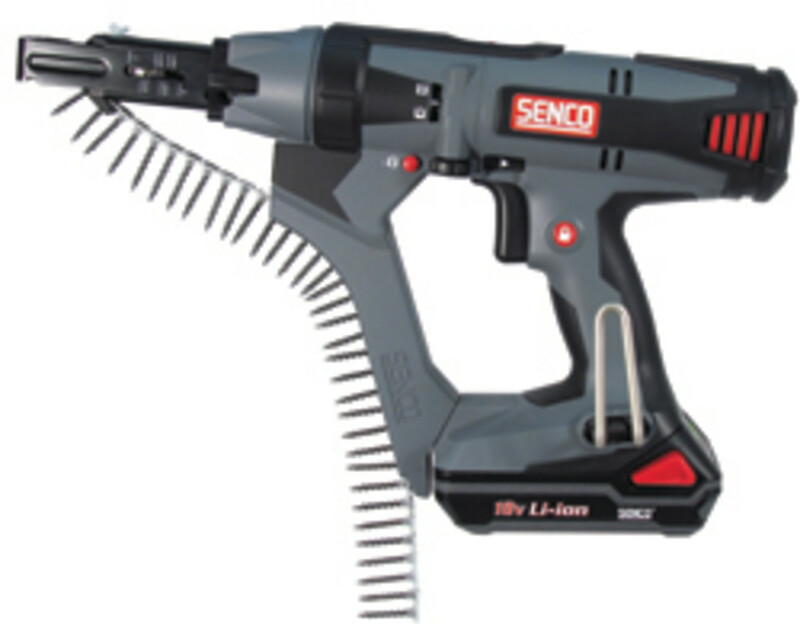 Available as corded or 18-volt lithium-ion battery-powered models, the tools feature high torque motors, application-specific tool speeds (2,500 or 5,000 rpm), a variable speed trigger with lock and reverse options and a patent-pending corner-fit feed system for better access and screw placement in tight spaces, according to the company. 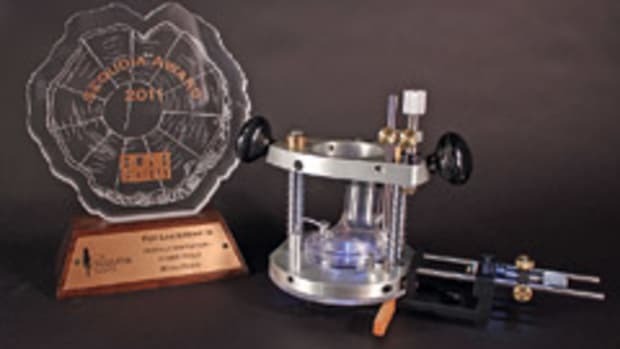 Kremlin Rexson won the Green/Environmental Leadership in Finishing category for the EOS Pump for solvent and water-based materials. 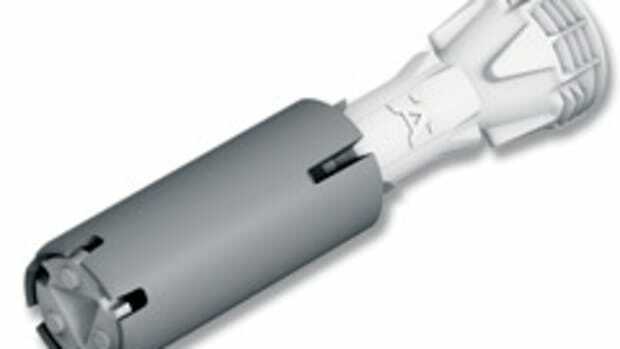 The pump, used with Kremlin’s Xcite Airmix manual spray gun, provides up to 86 percent transfer efficiency, according to the company. “Implementing the EOS System in a finishing shop may reduce at least one coating application and in some cases, more. When setting up the pump to start production there is minimal time needed to prime the system. In comparison to competition and older technologies, there is no stalling in between pump cycles. The EOS pump delivers a constant supply of coatings without pulsation. The mobile fluid packings in the EOS pumps facilitate fast flushing and uses significantly less solvent than fixed-packing pumps,” according to the company’s website. Graco Inc. won the Green/Environmental category for the ProMix PD2K electronic proportioner. The company says the ProMix PD2K reduces waste from color changes and flushing by up to 80 percent. It’s suited for all two-component materials and incorporates electronic fluid management, which means there are no fluid regulators to flush.